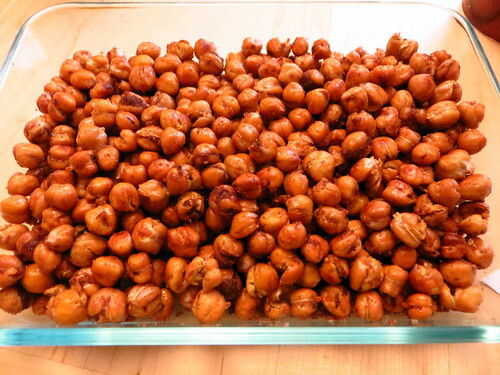 Sweet and Salty Roasted Chickpeas | Hapa...Shot the Food! ← Can I call it a S’mookiewich? OK… I’ve been focusing a leeeetle too much on the sweet stuff lately. Here’s my first recipe post in a little while; this one has both sweet and salty going on. 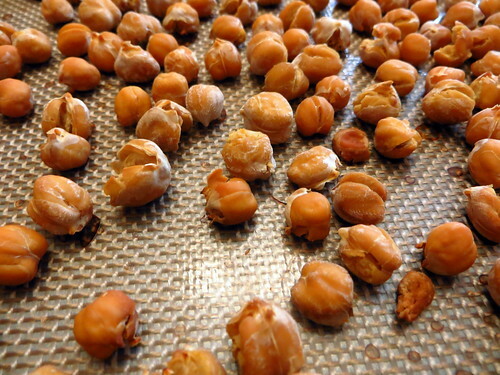 1) Place chickpeas on a baking sheet lined with parchment paper or a Silpat. Bake at 450 F for 30 minutes. Note from the Cupcake Project: You didn’t miss anything here. You don’t oil or season them until after they are done. In fact, for an extra healthy treat, try them when they get out of the oven before even adding the oil. They are enjoyable all on their own. 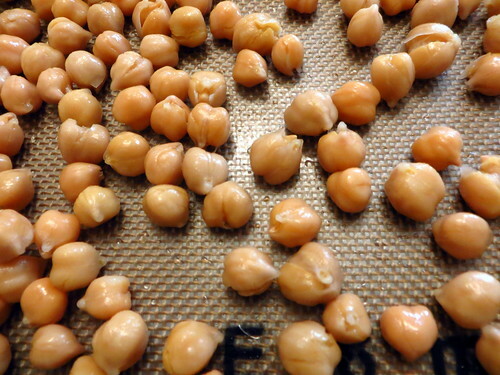 2) Transfer chickpeas to a bowl and mix thoroughly with the rest of the ingredients. 3) Enjoy hot, or bring to room temperature and store in an air-tight container. Instead of straight cinnamon, I generally go for fivespice to shake things up a little bit. I may try this recipe with a little pumpkin pie spice next time around. The spice combinations are really up to you on this one! There are many things to love about this recipe. 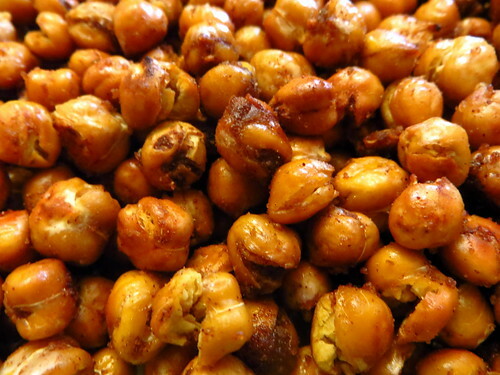 The recipe is very simple and the finished chickpeas are easy to transport from place to place. While the chickpeas tend to lose their crunch the longer you keep the chickpeas, they are still really tasty days after you bake them. They are like beer or corn nuts, but I think a lot better tasting and possibly a little better for you. Once I pop one into my mouth, it’s tough to stop myself (sorry, Pringles 😉 ). Need to figure out a way to keep ’em crispy/crunchy once they have been out of the oven a while, though. Posted on October 7, 2013, in appetizers, quick and easy, recipe, side dish, vegetarian and tagged chickpeas, savory, sweet, vegetarian. Bookmark the permalink. Leave a comment.